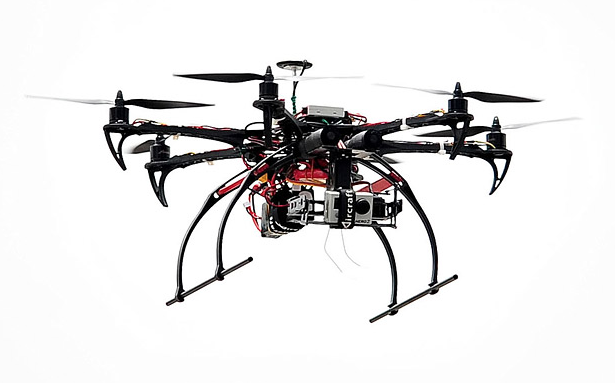 The fist Unmanned Aerial Vehicles were developed for military reconnaissance, attacks and deliveries. Their use for commercial deliveries is most strongly associated with Amazon project. For the time being Amazon Prime Air operations are on hold waiting for the response from NASA. For safety reasons a separate part of aerospace will have to be dedicated to drone flights. Some regulatory framework for testing is already in place, but it will need to be updated significantly before large-scale commercial operations can begin. Merely by imagining let’s say a hundred drones hovering in the air at any given moment, we can understand why regulatory authorities are taking their time in developing traffic control system. But as on one hand careful considerations are needed, the regulations do not seem to be keeping up with technological advances and new areas of UAV applications. Non-commercial deliveries, such as of medication and other vital goods to remote or hard to reach areas are looked upon more favourable and have already been approved by NASA. Many other companies are trying to get into the drone business one way or another. Sony, for instance, is leveraging its successful image sensor by developing drone-based inspection and surveying services. Those monitoring functions of drone service can potentially be integrated into existing structure of logistics operations, adding visibility and improving efficiency to loading/unloading operations. But we are not just talking about “mobile CCTV”. Software companies are offering far more complex solutions. The Yard Management System is suggested as a joining point between Warehouse and Transport Management systems. The promised benefits are, among others, increased efficiency, safety, speed, improved planning and transparency. However the adoption rate still remains low even among the companies who purchased the software in a bundle with WMS of as part of other application. Respondents expressed greatest concerns about new system’s ability to integrate with existing systems, worries over user acceptance and total cost of ownership.